Yahíma García Sarduy in her kitchen in Cabaiguán, Cuba, July 2013. During summer 2013 I began a research project, partially funded by the Christopher Reynolds Foundation, in which food and food culture crystallize as a primary lens of broader political-economic and environmental analysis in Revolutionary Cuba. This work aims to explore how changing political-economic contexts in Cuba during the past 60 years have affected both food culture and the natural environment, and also how food culture, through the daily actions of individuals, collectively affects both the political economy and the agricultural environment of the island. Methodologically we’re focusing specifically on two groups of Cubans: the elderly and women. In the first place, rural Cubans who are old enough to have lived through the triumph of the Revolution in 1959 collectively possess a wealth of local knowledge beyond the reach of most other research methods. Through memories and life stories, this population can trace changes in agriculture and food production, consumption patterns, and food cultures dating to the pre-Revolutionary period. 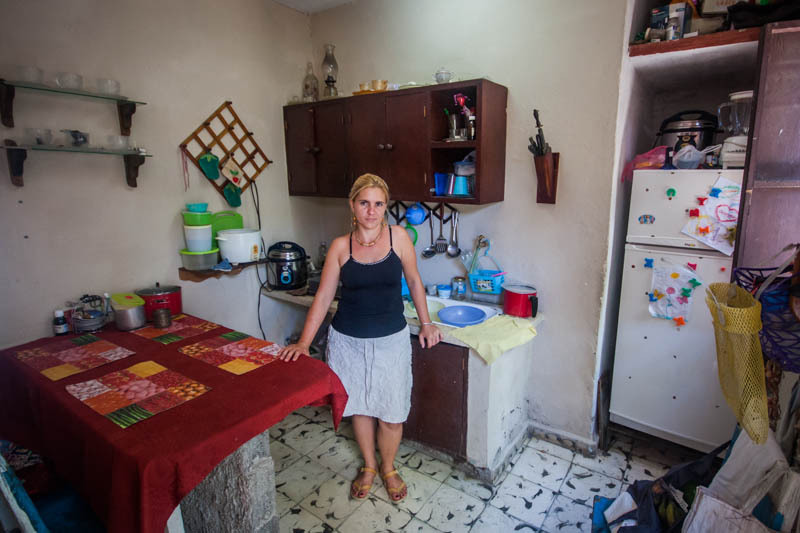 Second, because of the gender roles that permeate Cuban society, rural and urban women alike tend to have a more direct connection to food through their immediate involvement in the daily tasks of food preparation. They are the keepers of recipes, histories, anecdotes, and kitchen secrets, and their stories have the ability to provide a unique view that rarely finds its way into political-economic, environmental, and cultural analysis. Following my fieldwork this summer, I’m currently working with several undergraduate students to transcribe hours of interviews and taped oral histories. Based on these transcripts and other sources of historical, environmental, and economic data, I’ll be writing several papers that aim to paint a much more complex portrait of the influence of individual cultural action on national and even global scales through the seemingly mundane tasks of cultivating, preparing, and eating food.